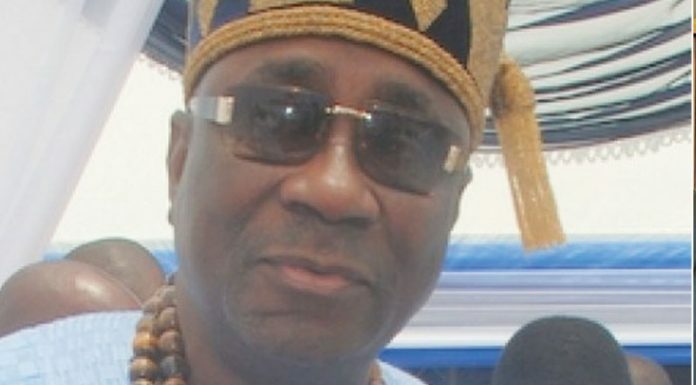 The traditional leader, who noted that the body of traditional rulers in the state were happy to receive the team, said that they appreciated Buhariâ€™s efforts as a highly respected person in Nigeria. â€œGive Buhari another chance and you will see how Nigeria will move forward,â€ Akiolu said. â€œWe should not go back to the past again. Now that you are here, Isha Allah, on Feb. 16, God will open the way for you. The best will happen to you,â€ he said. He said that a catalogue of requests, including mass transit and pressing issues on the Apapa ports, had all been committed into writing. In his response, Buhari commended Akiolu for appreciating the efforts of his government. â€œI appreciate all you have said and I assure you that I will continue to do my best. â€œThe promise we made through our party in 2015, our country needs to be secured and properly managed. â€œIf there is no security, we cannot do anything no matter your resources. We thank God our efforts have brought some fruits,â€ Buhari said. â€œWe can feed ourselves and the money we save, we can put it in infrastructure; we are building the roads, we are building the rails and we are building power. â€œBut the failure of former administrations in spite of enormous revenue they got to develop infrastructure is amazing,â€ Buhari said. He commended the Minister of Works, Power and Housing, Mr Babatunde Fashola, for his hard work and efficiency for keeping contractors on their toes, saying that he has done creditably well. â€It is my pleasure to welcome Mr President and Mr Vice President to the palace of the Oba of Lagos, who is the chairman of the council of Obas and Chiefs in Lagos State. â€On behalf of all of them, we welcome you to Lagos State in continuation of your presidential campaign rally. â€œWe are very delighted to receive you, we are very appreciative of everything that you have done for us in Lagos State. â€œAll our Kabiyesis are also very appreciative,â€ Ambode said. According to him, Lagos has remains very peaceful in the last four years and the security and safety of Lagos cannot be underscored without the cooperation of all our traditional rulers. In the team were the Vice President, Prof. Yemi Osinbajo, Gov. Gboyega Oyetola of Osun, APC Chieftain Bisi Akande, the National Leader of APC, Sen. Bola Tinubu and others.